Garden State starts with Andrew Largeman (played by Zach Braff) coming home to his neighborhood in New Jersey from LA to go to his mother’s funeral. He is dead to the world and heavily medicated. While he’s home he meets Sam (played by Natalie Portman) who ends up transforming him into a person who can feel again. This movie was great and yet it’s hard for me to describe it. We watch Andrew (Largeman as he seems to be known to his friends) go through 3 or 4 days being home for the funeral, seeing friends and avoiding his father. The scenes are all completely enjoyable, though unexpectedly they range from straight up hilarious to deeply emotional. This movie isn’t structured like most movies but that makes it more interesting. 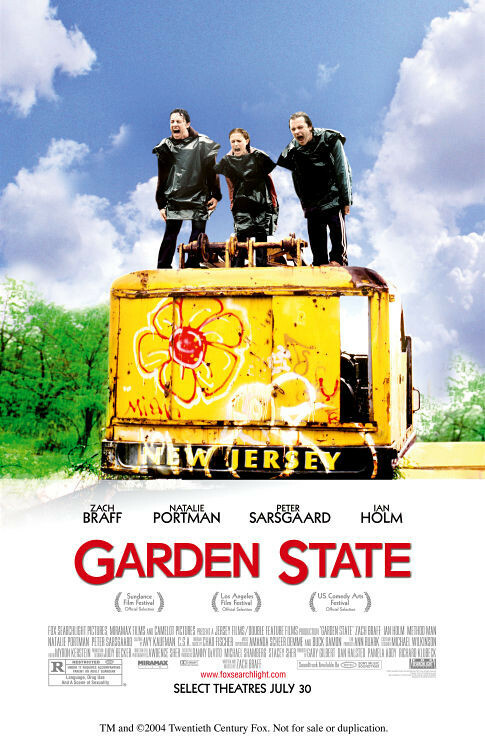 Garden State is part love story and partly a story about Largeman’s metamorphosis into a feeling human being and his effect on his friends and father. It was very enjoyable and I’d definitely recommend it.